Nestled among beautiful, established gardens. Photos: Provided by Independent Property Group. 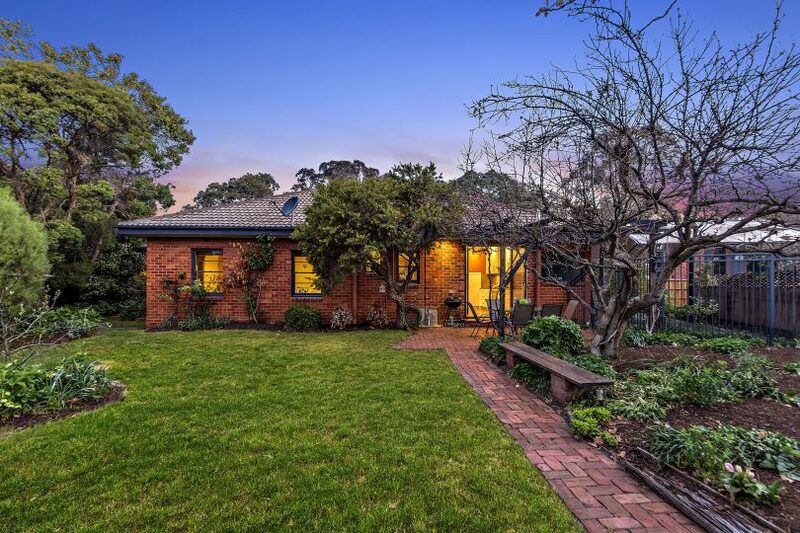 Nestled among beautiful established gardens, this delightful renovated red brick home offers plenty of peace, quiet and privacy as well as perfect spaces to entertain friends and family. 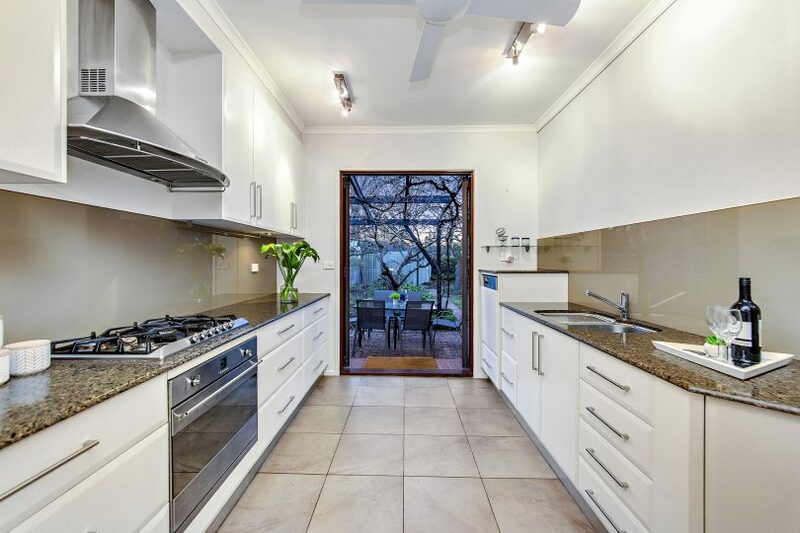 Set on a 941m2 block, the three-bedroom ensuite home is centrally located, within walking distance to the city and bustling Braddon. Natural light floods into the formal lounge area through large double-glazed, timber-framed windows. The gas fireplace is perfectly positioned. This warm and inviting space is complete with polished floorboards. Natural light floods into the formal lounge area. The formal dining room is also bright and airy with floor-to-ceiling, double-glazed windows on two sides. It also features polished floorboards and timber window frames. There is no end to the amount of storage in the kitchen, with large cupboards, 18 drawers, a pantry and an amazing amount of counter space. The colour scheme is bright and inviting. The large tiles on the floor are smart-looking. A major feature of the kitchen is easy access to an alfresco dining area and rear gardens through large timber French doors. The massive and segregated master bedroom has ample room for both a large sitting area and a study area. Relax and enjoy stunning views of the gardens. The master features polished floorboards, an updated ensuite, large built-in robes and a large ceiling fan. It is a truly tranquil space. The other two bedrooms are appropriately sized, one with comfy carpet. The main bathroom has been updated. 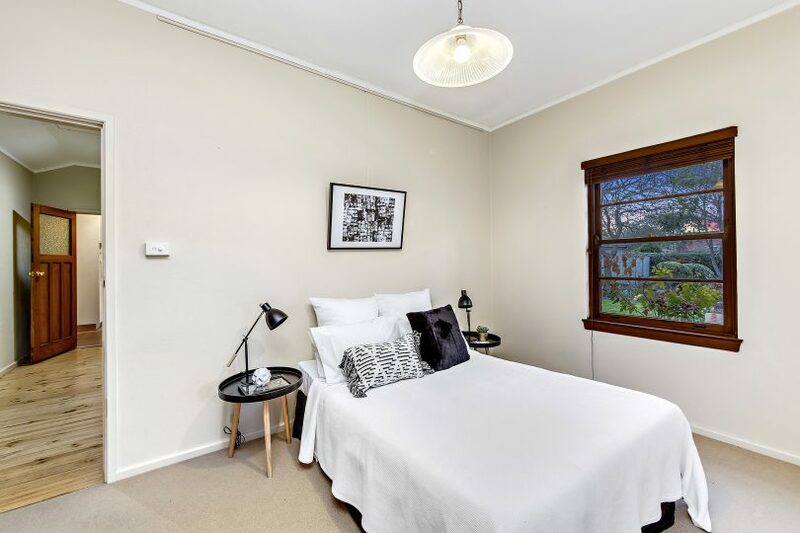 It features a generously-sized bath, a stained glass window and tiled floors. 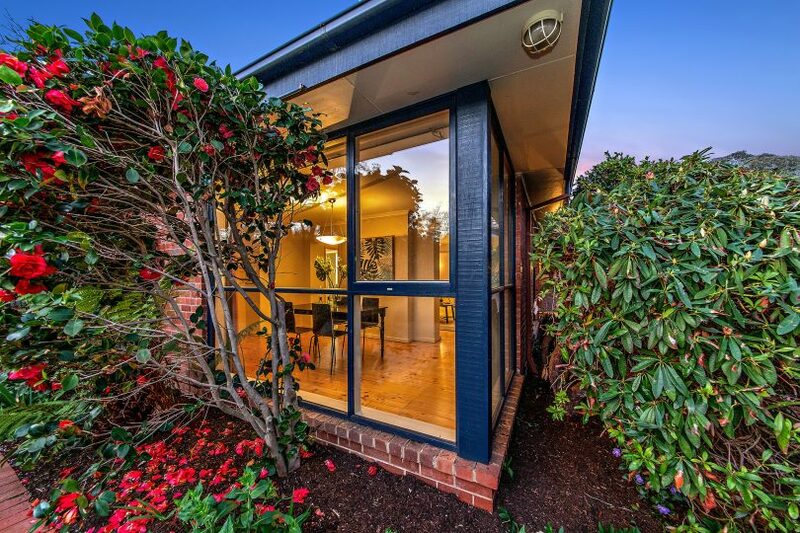 This home features three bedrooms, all with views to the garden. “The gardens surrounding the home are a major draw card, holding interest all year round,” says Michael. Other features of this unique property include ducted gas heating, cedar sash windows, solar hot water, gas heating and an alarm system. The tandem carport includes extra storage. The gardens surrounding the home are a major draw card. 59 David Street is well positioned on the Turner side of O’Connor. 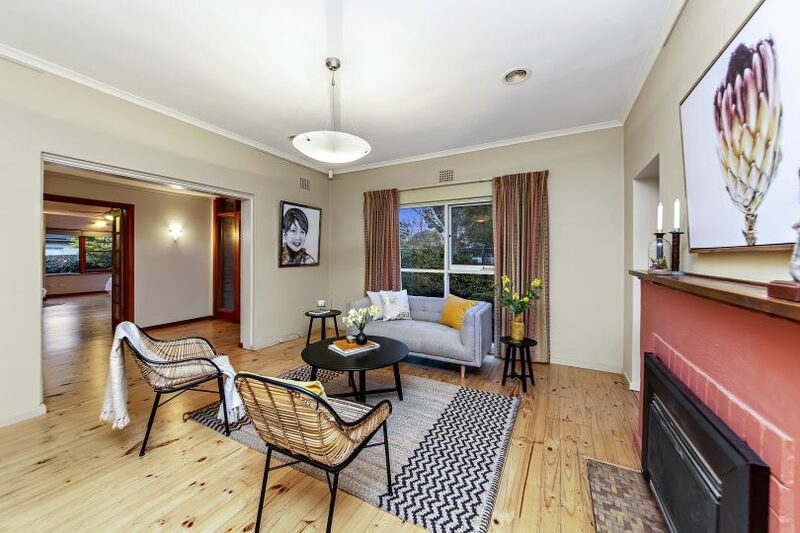 The home is only metres from the thriving O’Connor shops, with well-established cafes, a major chemist, newsagent, post office and grocery store. Schools are all close by, including Turner Primary, Lyneham High, the Australian National University, and Merici College. For more information or to find out about open house times, please contact Michael Duckworth of Independent Property Group Tuggeranong, on 0424 230 520 or 6209 7777, or click here for details. EER: 2.